The HBK Gang have released the first single Go Crazy from their latest mixtape Gang Forever.The track, produced by Jay Ant, features Iamsu!, Skip & Dave Steezy, with P-Lo on the hook. The HBK (Heartbreak) Gang is one of the most dominant rising crews in hip-hop. 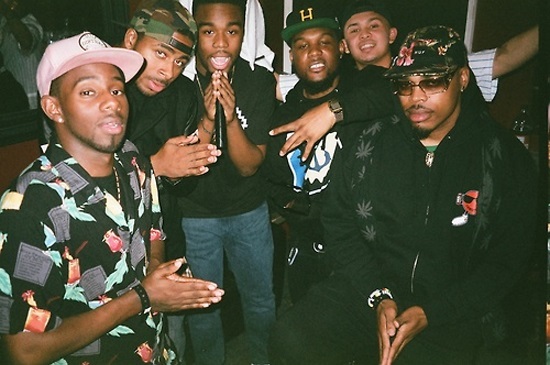 And though many know HBK merely as a collective led by burgeoning star Iamsu!, the other HBK members have been simultaneously buzzing with their own successes, respectfully. Gang Forever, which is available now for sale and digital download, is the first full-length offering from the crew, featuring every single member of HBK – Iamsu!, Sage The Gemini, P-Lo, Kool John, Skip, Rossi, CJ, and Jay Ant. Next Article Black Milk - Perfected On Puritan Ave.